President Donald Trump suggested that China was behind North Korea’s threat to cancel a meeting with Kim Jong-un, in remarks to reporters on Thursday. “President Xi could be influencing Kim Jong-un,” Trump said, pointing out that the North Korean dictator signaled a willingness to work for peace and meet with him before visiting China for the second time. North Korea reported that the nation’s senior diplomats threatened to cancel scheduled high-level talks with South Korean counterparts as a result of ongoing military exercises with the United States. Trump repeated that he had not heard specifically from North Korean officials, asserting that he only knew what he had read in the news. “Our people are literally dealing with them right now in terms of making arrangements so that’s a lot different than what you read, but oftentimes what you read, if it’s not fake news, is true,” he said. 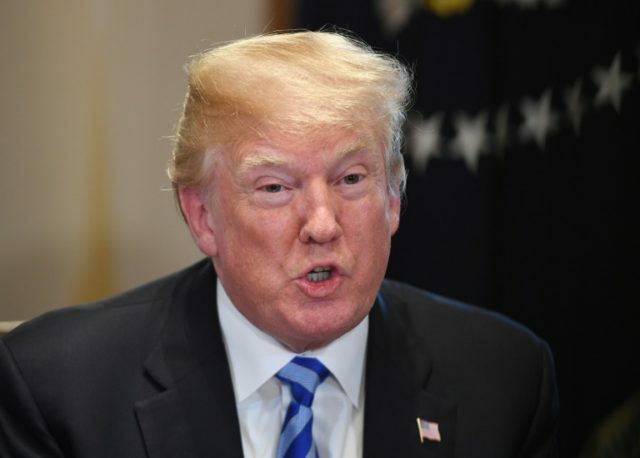 The president said that the ongoing trade negotiations with China could be part of the reason there were reported threats to cancel the meeting. He appeared mystified by Jong-un’s sudden turnaround. Trump made his comments to reporters after a meeting at the White House with NATO Secretary General Jens Stoltenberg.